The house can be used for several purposes; as an individual workstation, a small sit-and-stand meeting room or as relax areas combined with The Hut Sofa. 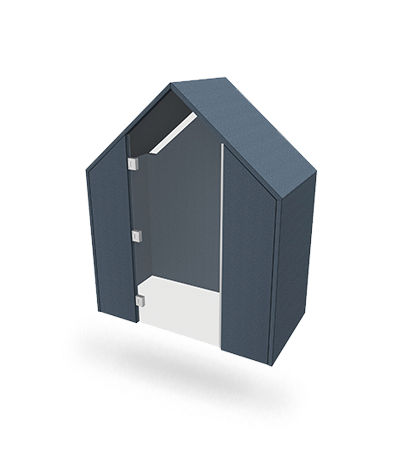 New for this year is that The Hut has a door in plexi. Everything to do it even more personally and shut out the sounds from outside and close in what is said in the house.